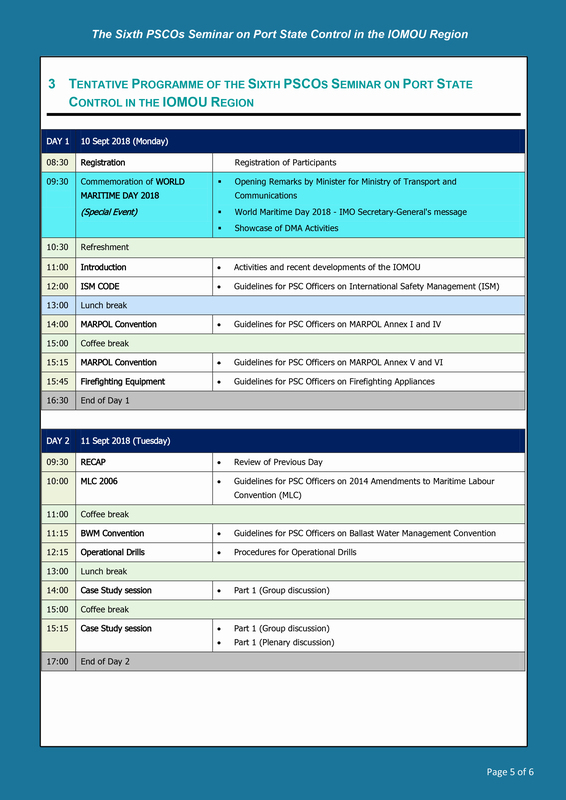 The National Contingency Plan (NCP) for Marine Pollution aims to establish preparedness and response measures pollution incidents by local and national mechanism as well as in coordination with other countries in combating major incidents or threats of marine pollution. This Seminar will focus on the consultation on the NCP that has been drafted by the National Task Force (NTF) and is under translation process. 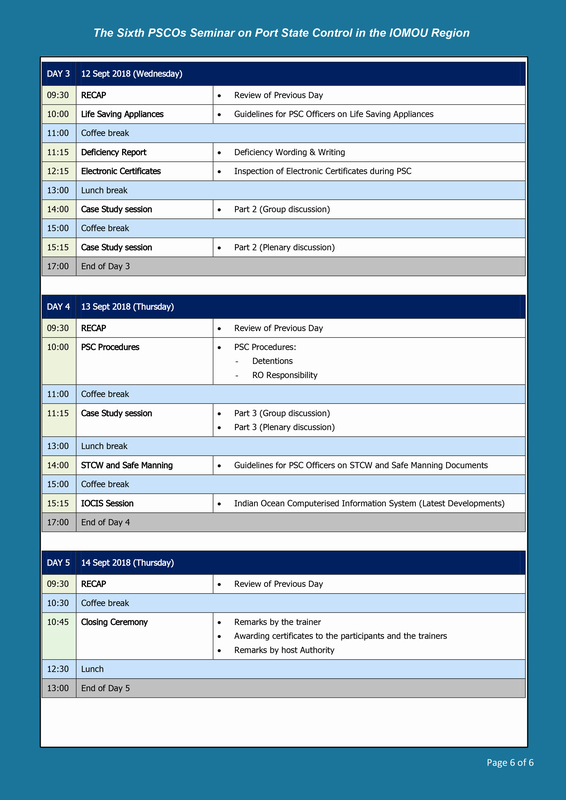 The programme includes the explanation on the whole features of National Contingency Plan as well as stakeholder consultation workshop on the draft NCP. After the workshop, the NCP will be translated into national language and, then submit to the Attorney General Office through Ministry. 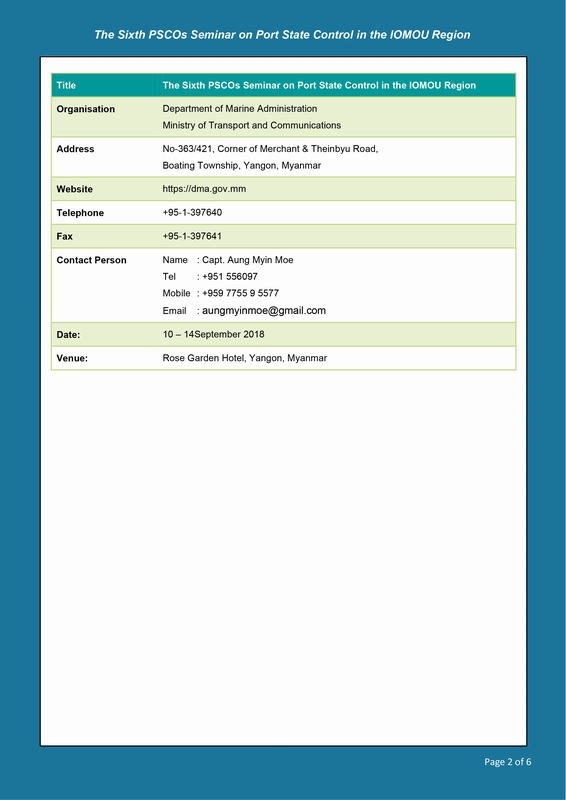 Therefore, National Consultation Seminar on National Contingency Plan for Marine pollution will be held from 15 to 16 November, 2018 at Yangon. 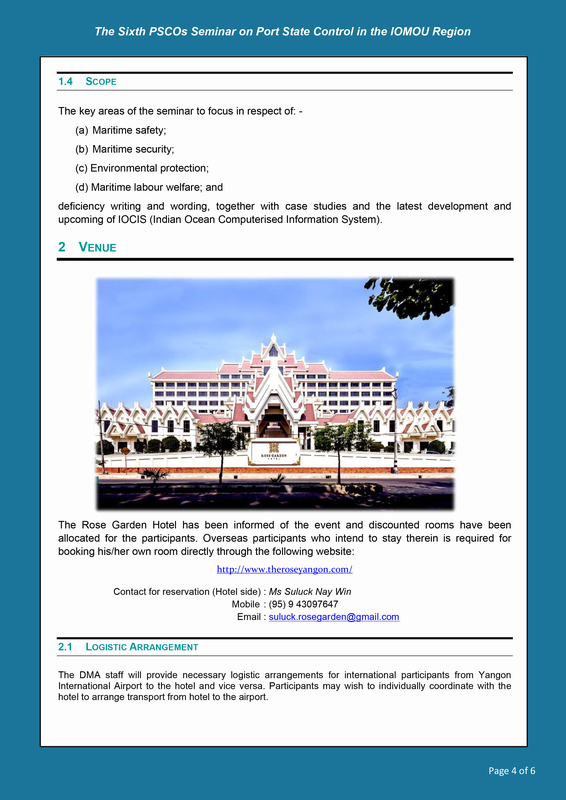 This Seminar is jointly organized by the Department of Marine Administration, Ministry of Transport and Communications, the Government of the Republic of the Union of Myanmar and Norwegian Coastal Administration (NCA). 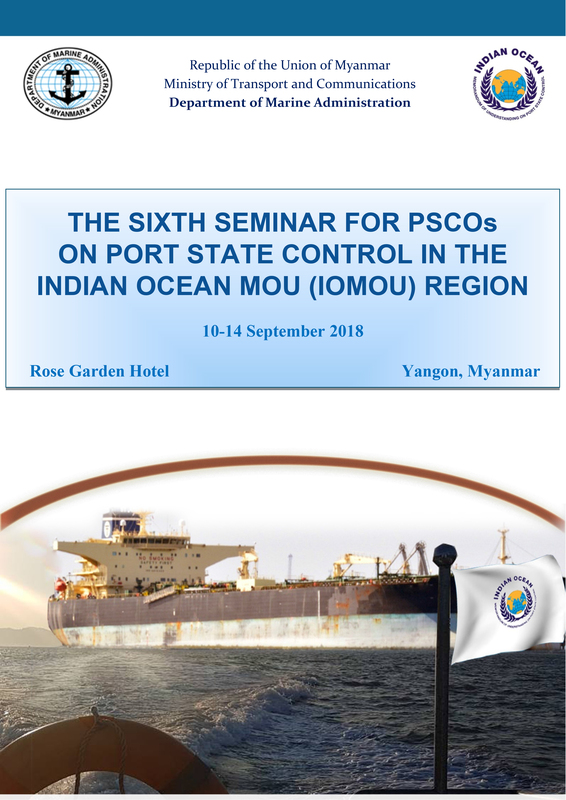 The Sixth Seminar for PSCOs on Port State Control in the Indian Ocean MOU region will be held from 10 to 14 September, 2018 at Yangon. 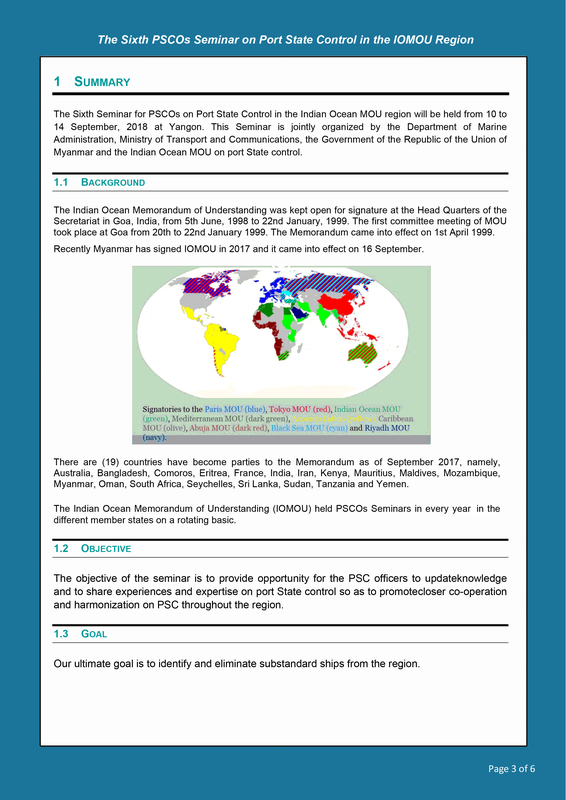 This Seminar is jointly organized by the Department of Marine Administration, Ministry of Transport and Communications, the Government of the Republic of the Union of Myanmar and the Indian Ocean MOU on port State control.